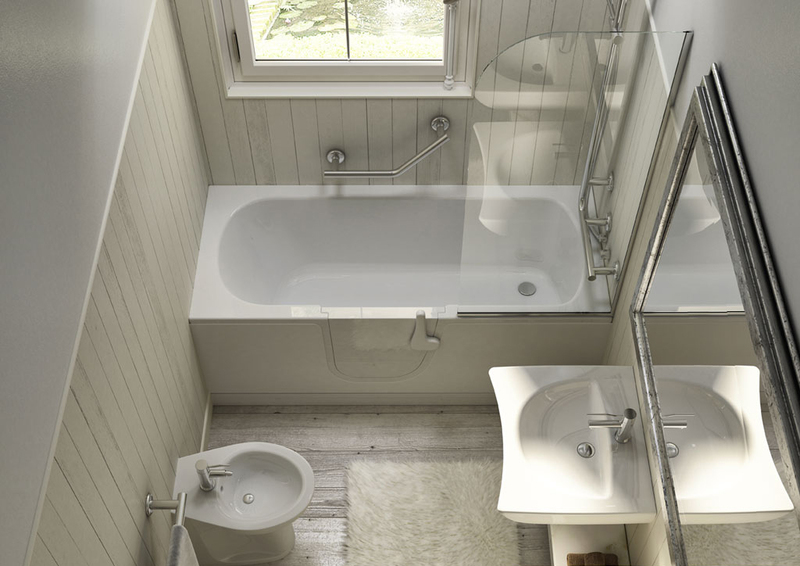 Today bathroom meets new life-styles, playing with interior design and satisfying different project directions. 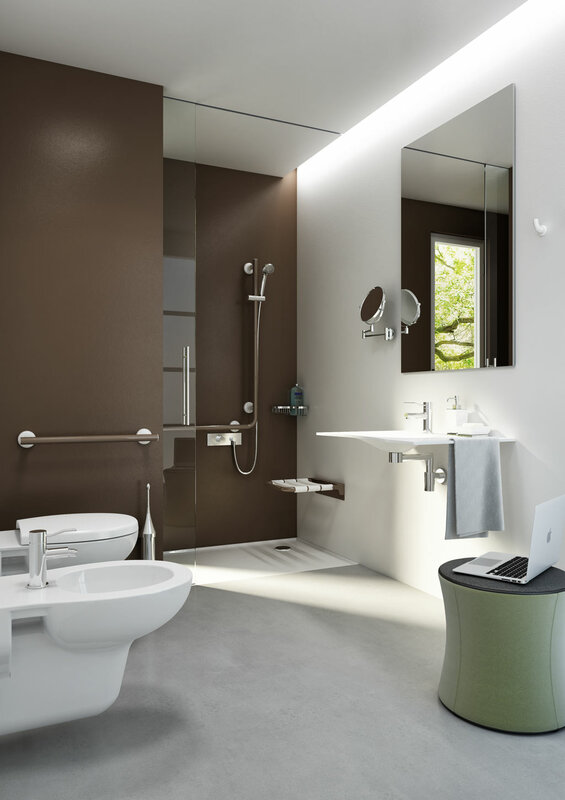 This is the reason why Goman gives three possible bath-room solutions according to the different needs, which can be the answer to three different atmospheres. 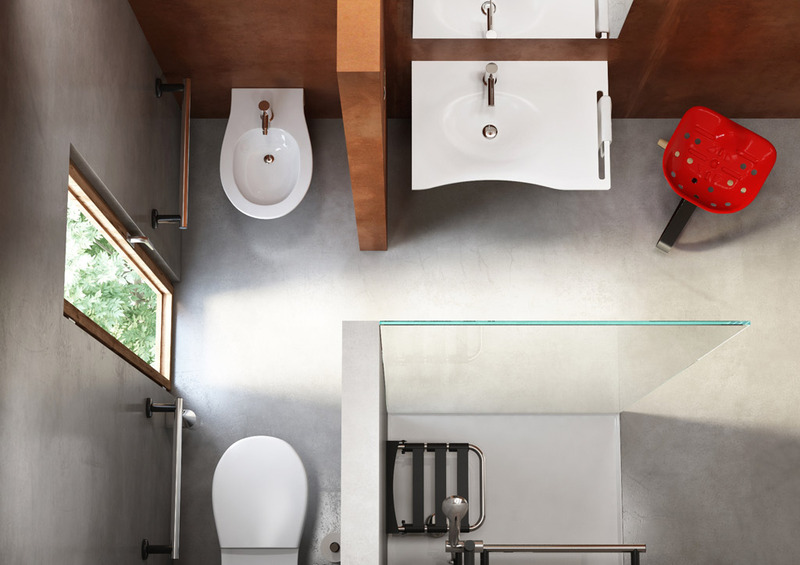 These three possibilities are also renovating suggestions for those who want to re-build up their bathroom and have specific needs for small and medium-sized bathrooms. 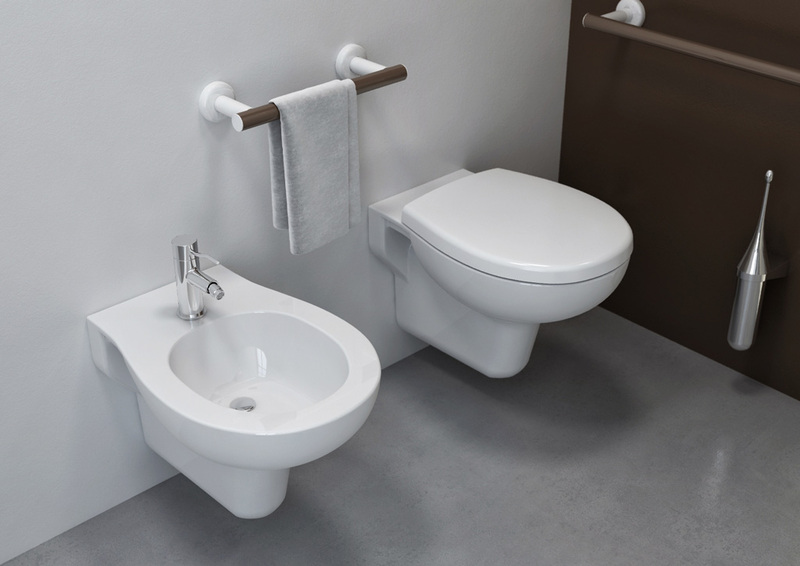 Goman often wins the challenge of finding the most comfortable and safe solution even for the smallest spaces; and then for all. 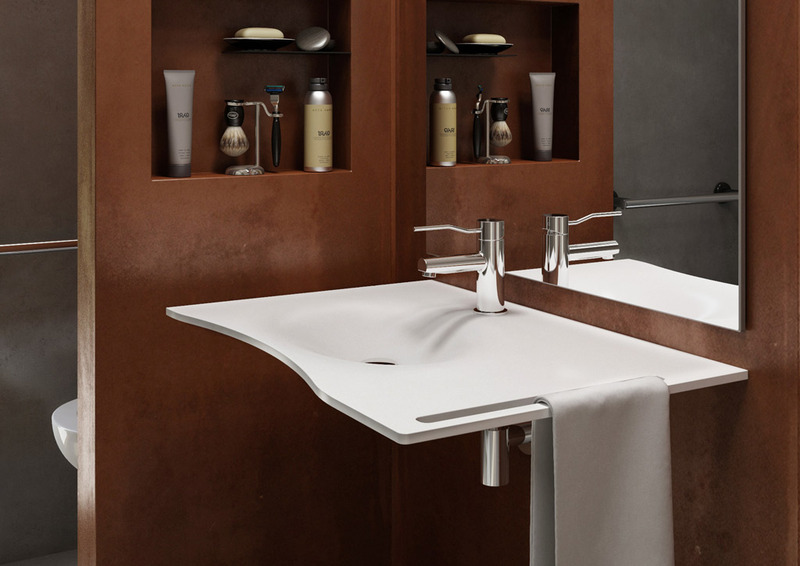 Bathroom furniture must meet specific functional requirements. 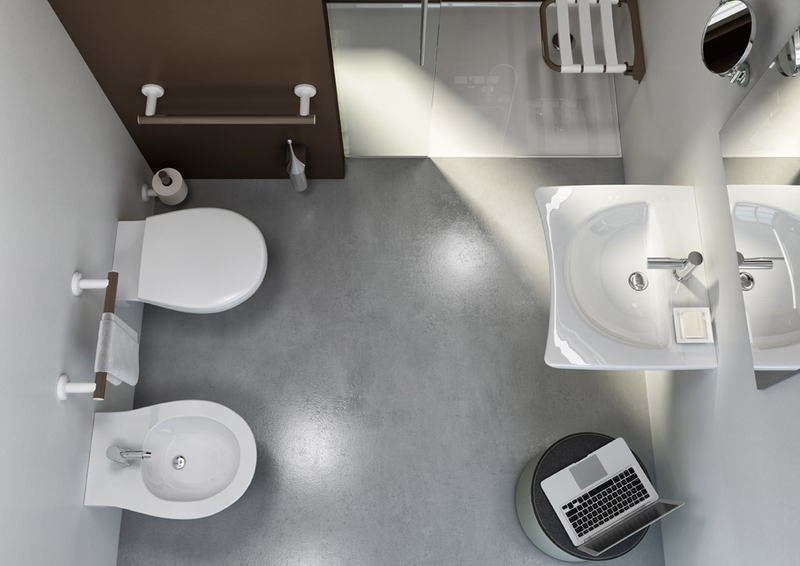 Taking advantage of little ideas, even the smallest bathroom can be transformed into comfortable and perfectly organized space. You just need to do the right choices. 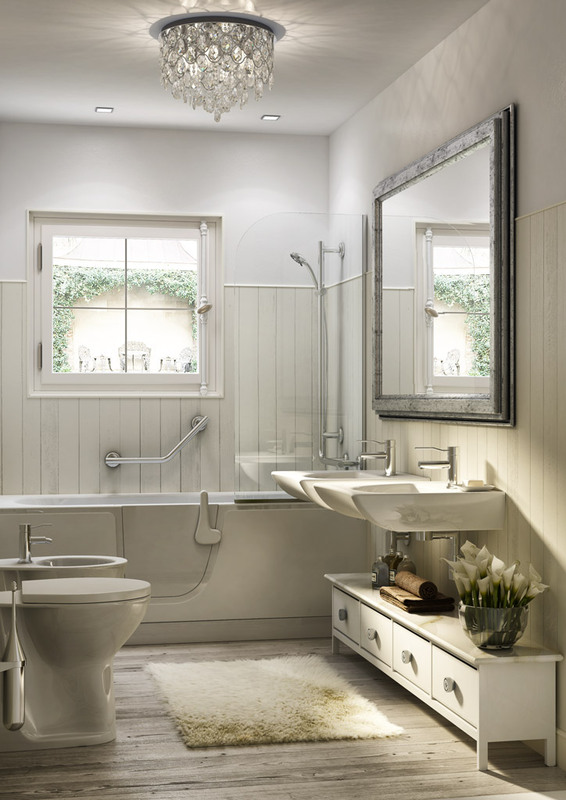 It is not impossible to organize a full cosy and welcoming bathroom, making it comfortable, even when renovation is linked to binding measures. The use of warm white as unique colour, to be combined with pastel colours or dove, can give a modern character to the environment, emphasizing the essential of contemporary forms. 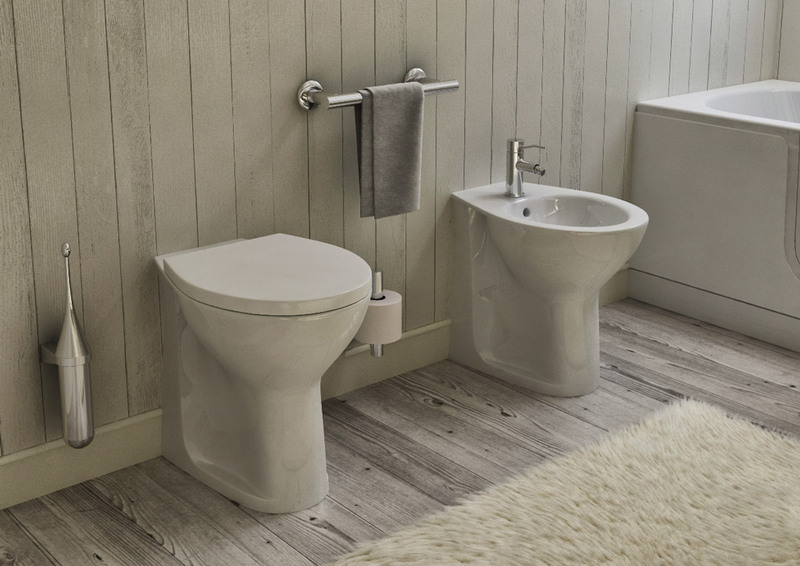 These combinations give to the environment not only elegance, but also brightness, sense of cleanliness and feeling of more and airy spaces; White colour is therefore ideal especially for small bathrooms, because it gives the illusion of greater extension. The corten effect walls become the true stars of the house thanks to their peculiarity and their ability to emphasize any complement and furniture. 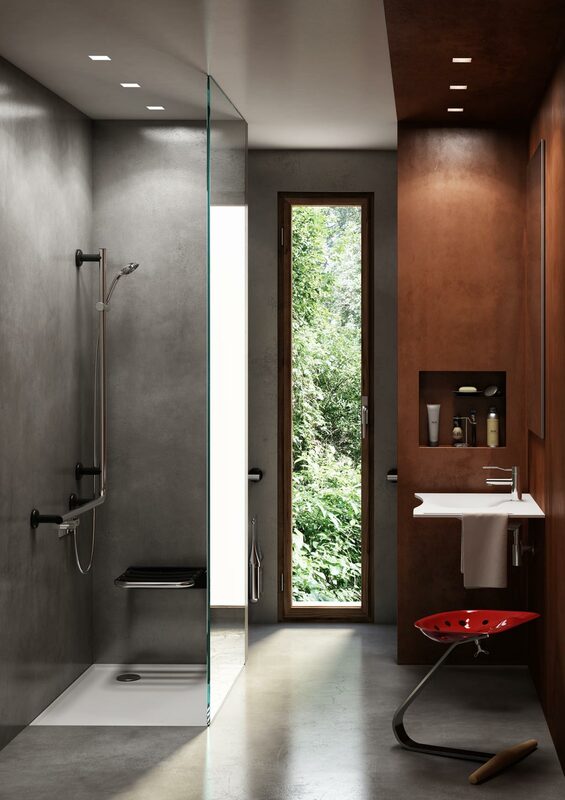 With some changes, and matching wood with cement, you can create pleasant contrasts between ancient and modern. The materials used are really the focus, because wood and cement are the elements that mostly speak the industry language, because normally destined to different uses than residential constructions. An environment that proudly shows the past time. small cracks, traces of scraped paints from wood and imperfections are precious parts to save and even to show. White, in all its natural gradations and shades, can be matched to colours tending to pastel like taupe, light gray, beige, sage green or delicate lilac lavender.